In twenty years from now, are you confident you will still be able to access a USB? Take floppy disks for example, everyone had them, everyone used them, but how many people can still access them? When will the same happen to CDs and USB sticks? Printed albums last forever. They are future proof. 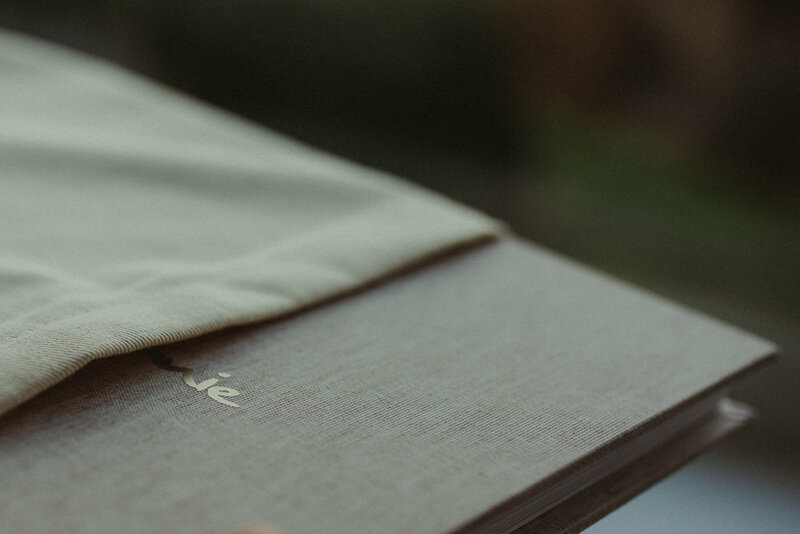 Not to mention, they are absolutely the most authentic, and beautiful way of viewing your memories for the first time, and every time you unwrap your solid box and slide that heavy book from its thick linen sleeve, it will blow you away every time. 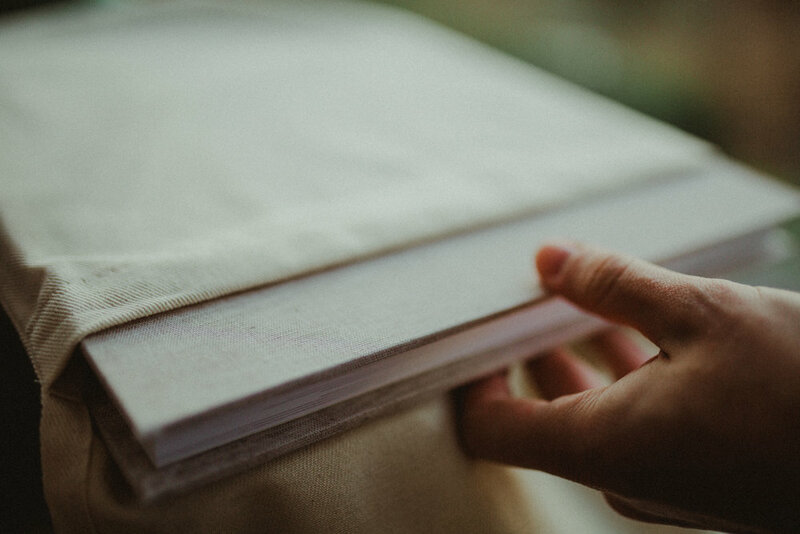 Feeling the texture on the pages as you turn the thick paper, laying each spread flat across your lap, your images will tell your story the classic and correct way, as highlights of the day in the exact order those moments happened. This allows the story of your wedding day to be retold accurately and authentically, every time. 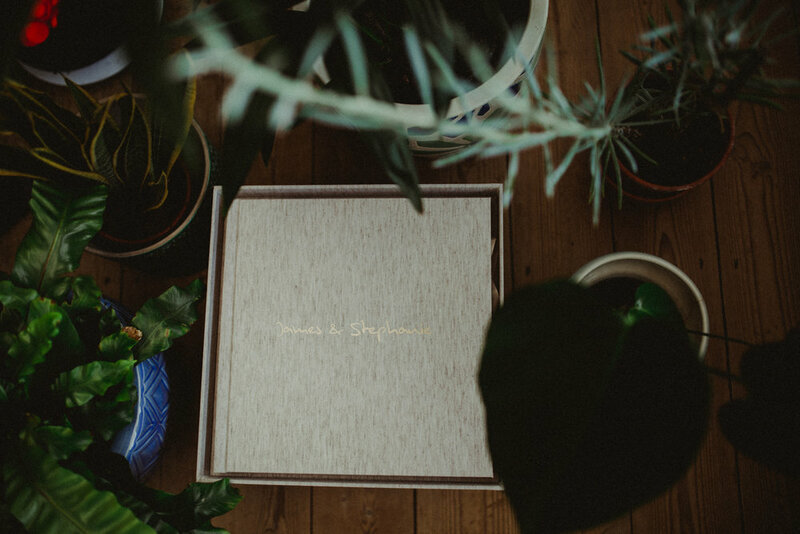 Rather than tie you into ordering an album from the outset, it is very much something to meet up and chat about after you've seen your wedding gallery. Choosing your favourite highlights from the wedding gallery is super simple using the built in favourite buttons on your online gallery. Once I have a list of your favourites, I put together a design to your specifications. This design can be proofed by you and altered/adjusted as many times as you like until you're totally happy, then it is sent off to the lab and arrives safely at your door a few weeks later. If you'd like to chat about ordering an album and would like to feel one in person, please pop me a message and I can show you over a cup of tea!